Calgary noise control technology company Hush City Soundproofing announced the availability of pipe, duct, and mechanical soundproofing solutions. Pipe and duct soundproofing is designed to minimize or block the sound of turbulent air or water flow through air conditioning ducts or plumbing. The Calgary soundproofing contractor offers several noise reduction products including recycled PVC acoustic duct wrap, vibration dissipation compounds, duct silencers, high-temperature duct covers, and noise control composites. Hush City Soundproofing offers these products for use in residential and commercial buildings. Standard and heat-resistant duct wraps can be applied directly before drywall is applied and is suitable for use in HVAC ducts, partition walls, pipes, and other barriers or conduits. These wraps also find use in industrial sound barrier linings, vehicle doors and trunks, as well as mechanical rooms. Heat resistant wraps for industrial soundproofing in Calgary is used in process piping, heat exchangers, valves, high-temperature pipes, and other related applications. These wraps are available in two variants – LAG FR (loaded vinyl with reinforced aluminum foil) and LAG FRC (thickly quilted fibreglass decoupler with vinyl). These convenient solutions are fire retardant, tear resistant, chemical resistant, and corrosion-proof. The company supplies in-line silencers to cancel noise frequencies such as air conditioning airflow or water flowing in pipes from acoustically sensitive areas such as home theatres, lecture halls, recording studios, and conference rooms. 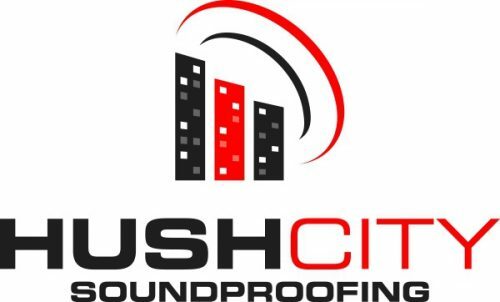 Hush City Soundproofing is a full-service soundproofing products and services company with offices in Calgary and Vancouver. The company’s offers consulting, installation, troubleshooting, and education services in Calgary, Edmonton, Vancouver, Victoria, Saskatoon, Regina, Winnipeg, and other regions. More information is available over the phone at 855-526-2615 and at the URL above.